We offer beauty and barber services on Tuesday and Wednesday of each week from 8:30 am until 5:00 pm. Bring your own stylist! 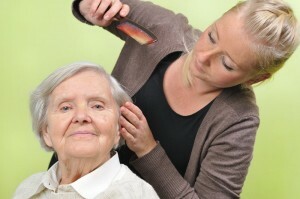 The beauty shop is available for use by a resident’s personal beautician upon request. Our facility encourages residents to participate in their self-directed, formalized resident council. The council meets monthly to enhance the quality of care and activities provided to the overall population. With many volunteers from a variety of local churches, the facility is able to provide fellowship, prayer opportunities and services in the denomination of choice throughout the week. The facility provides transportation to outside doctor’s appointments, and resident outings by our own wheelchair accessible vans.